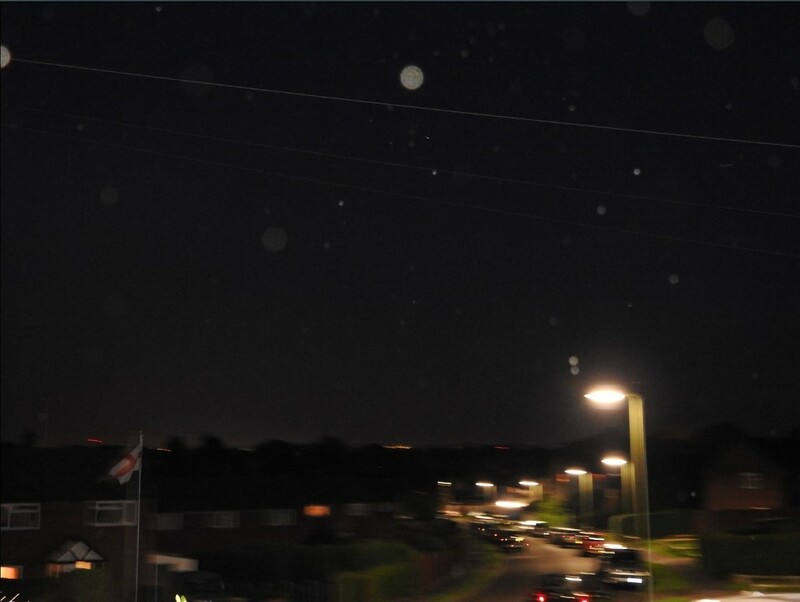 I have personally conducted a photographic survey at various locations, in an attempt to shed more light on the phenomenon of 'Orbs', (also referred to as 'Spheres'). The results of my testing proved conclusive... many aerial orbs in photos are bogus, in respect that they are nothing more than distorted reflections of the internal imaging surface of the lens, amplified due to the flash striking a speck of dust, or water-born moisture droplets such as humidity, mist, fog, rain, or snow/other particulates. Please click these words to see an example of some moisture orbs that I captured (flash used). However, I am aware that there is a much rarer type of orb, (which as yet, I have been unable to capture on camera myself), that is perplexing some scientists; these objects can move very fast, up to 500mph or more, and sometimes even appear on request: Their motions suggest intelligence and intention; for instance, in dual camera experiments some orbs literally chose which camera to appear on, or whether to appear at all. 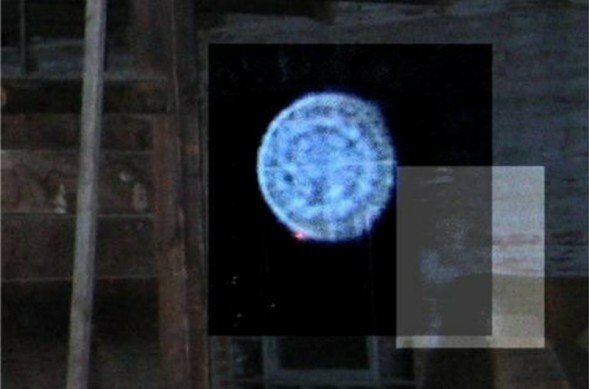 Here at BEAMS, we have quite a few recorded examples of various different types of orb phenomena; such as energy vortexes, (vortices), as some call them: Then there are Glowing Orbs (movie of) and photos of what are known as Supercharged Orbs. Nor do airborne moisture droplets... and I have seen recorded examples of ALL the aforementioned phenomena. Yes, you can throw flour and dirt in the air and get orb-type effects, with all the spheres looking the same; yet you don't get multicoloured orbs of various shapes and sizes, some of which when blown up, may have the resemblance of faces and sometimes even what seem to be human figures, inside them! Also, please examine this video capture of 'orbular' phenomena, (which I have dubbed a 'spirit orb') that was seen floating in the corner of someone's bedroom; the sighting lasted only for a few minutes, but just enough time for the shocked and astounded witness to grab his video camera and catch a short piece of footage, before the large, mysterious sphere simply vanished... as is so often the case with Unidentified Flying Object phenomena: This object was videoed using 'Night shot' - an IR or infrared feature sometimes found on cameras, which enables short range recordings to be made in low light. 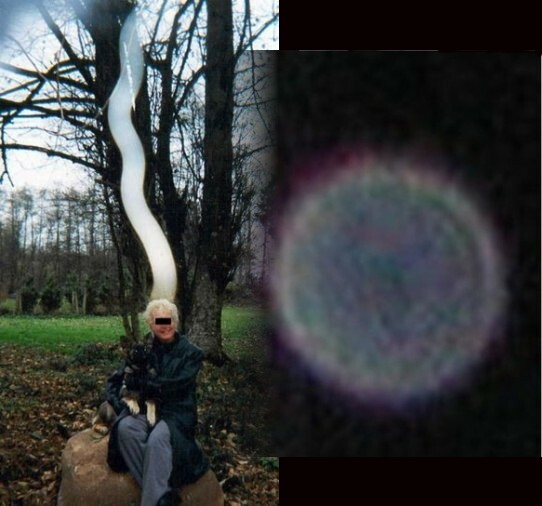 Above: On the left, a genuine photo of an energy vortex - and for comparison purposes on the right, is a picture of a humble dust orb: note the difference of phenomena. One good answer as to what these objects actually are, may be to say that they are some kind of energy plasmas; but to simply give them such a scientific-sounding label may not be enough, because of their often and obvious, sentient behaviour.